Several Weeks ago I got the itch to make more decor balls. 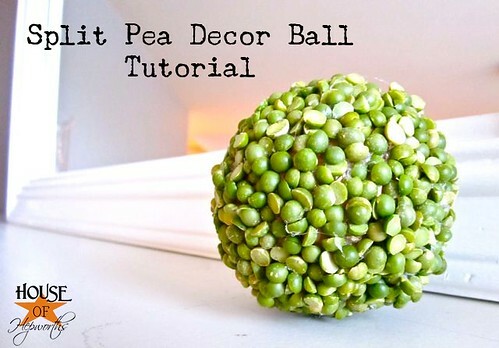 To make the Split Pea Decor Ball, you need to start with a ball. 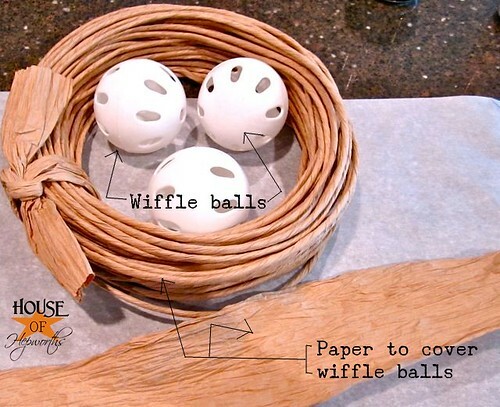 I chose a wiffle ball because it’s what I had on hand, so in order to fill in the holes on the ball I simply wrapped the ball in some paper and hot glued it to the ball. 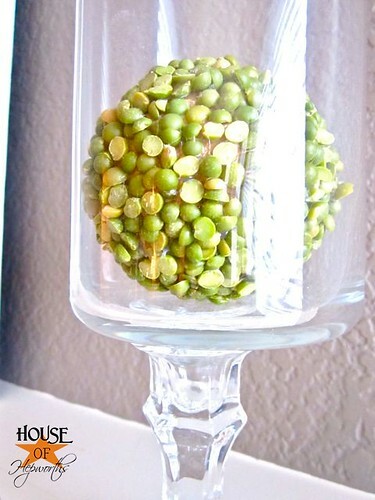 Next I grabbed my bag of split peas & poured some into a bowl (kid’s bowl from IKEA). 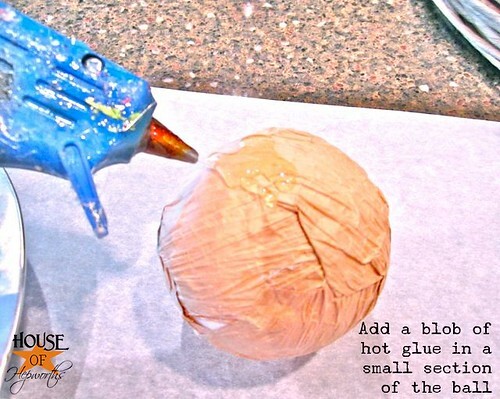 Take your ball and add a big blob of hot glue. 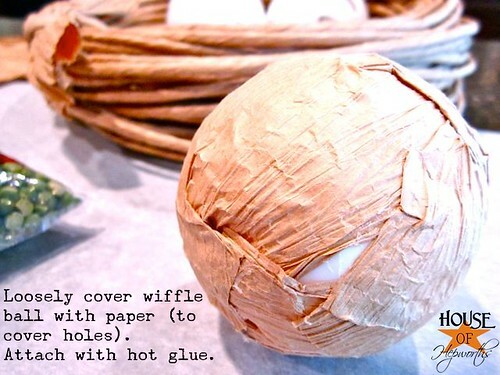 You’ll want to work in small sections so the glue doesn’t dry on you. 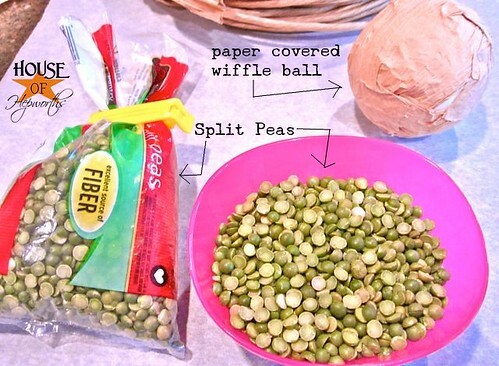 Now dip your ball into the split peas. I found that if you push somewhat hard and grind the ball around in the bowl the peas stick better. 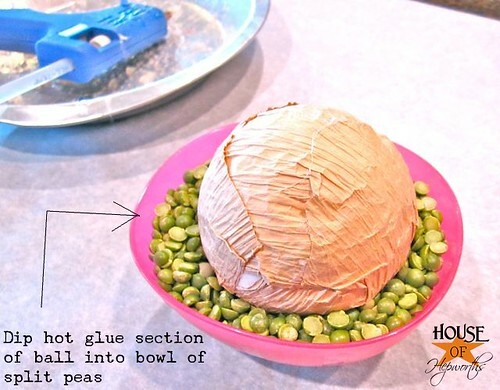 Your wound to end up with some empty sections so before the glue dries, just cram individual peas into all the gaps. Work your way around the ball until you are done. I had fun trying out a plethora of ways to display the ball. Wouldn’t it look great to have 3 of these stacked one on top of the other in this hurricane? 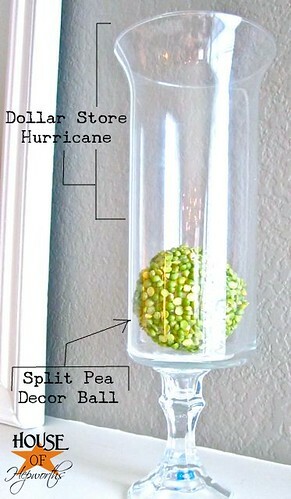 If you want to make some of these hurricanes, here’s my tutorial. Here’s my post about my Modern Bird Studios artwork. It also looks cute propped up on a Dollar Store candle stick. And honestly, I like it just sitting by it’s lonesome on the hearth. There you have it. 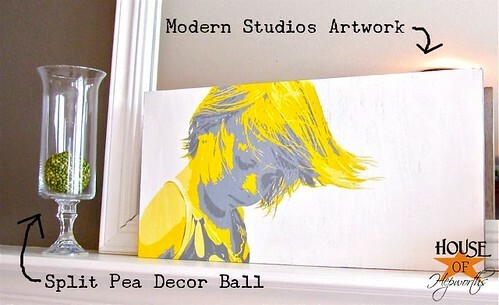 The Split Pea Decor Ball. Now go make one of your own and come back and show me! 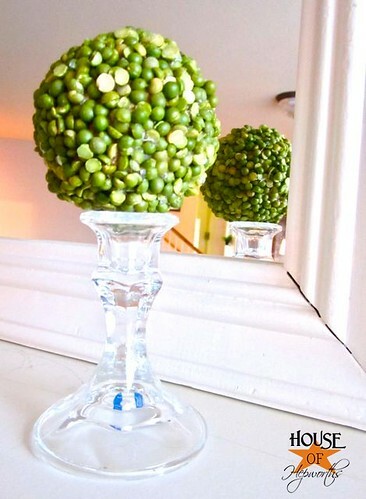 Do you have any hand made decor balls? They were all the craze at the beginning of 2010. I seriously could not get enough of them! Are you as obsessed with them as me? 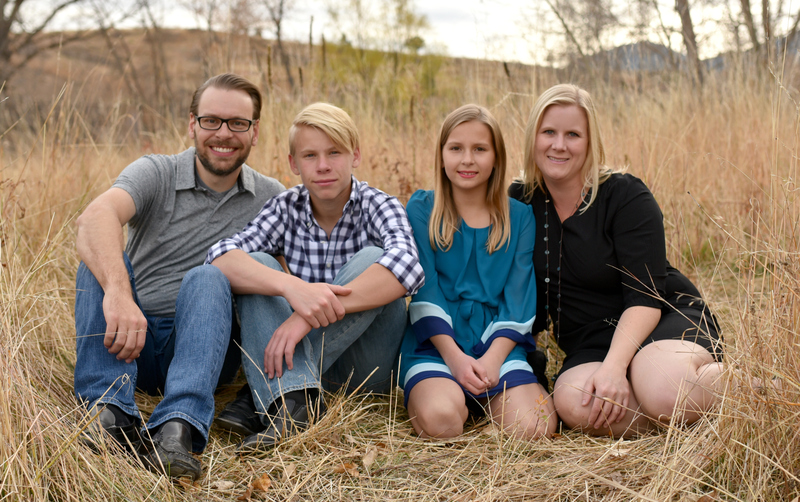 « Let’s keep Barney where he belongs – on TV; OR, I painted my hideous purple dining room. I’ve actually been wanting to make some balls. I’m definitely going to try these! Super cute! I truly love your split pea ball. I think its the shade of green that grabs my heart! Allison these are really fun and decorative!! Be quite! That is adorable. How about some lentils too? I have to say that I sure enjoy looking at them but I have not made any nor do I use them to decorate. Don’t know why…just don’t. I really like the shiny ones! They are so gorgeous! 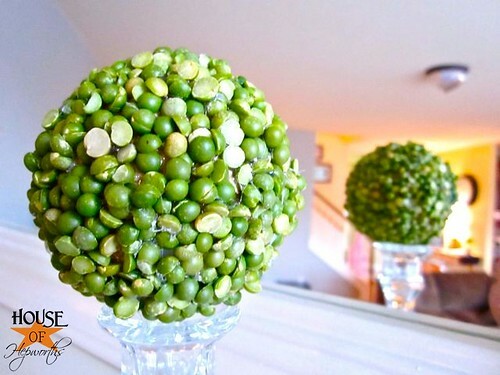 Love your split pea ball…very cool!! These are so cute! Such an inexpensive way to add a splash of color. I might have to try this! That green looks so vibrant – perfect for spring. Thanks so much for sharing. I’m inspired! Thank you so much for the inspiration. I absolutely am in love with the color green right now as it goes so amazingly with all of the blue that we have in our house. I knew I had to make something with the peas as the color is incredible. 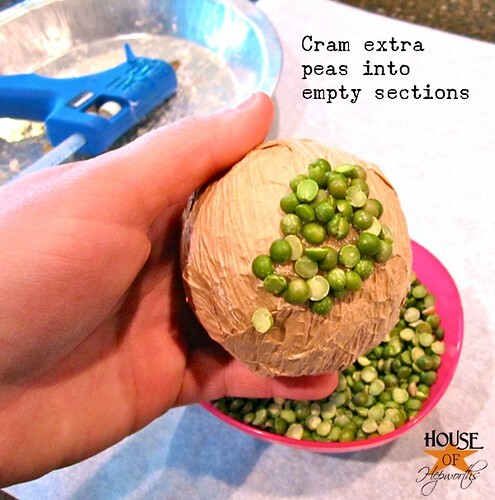 Here is a link showing you how I used split peas! I wonder what I’m doing wrong. My peas keep falling off!